Recycled Fashion: How green are your jeans? Eco jeans are hot topic at the moment, with Armani being the first to create an eco-friendly jean with many more to follow. Diesel have produced the Keever, made from cotton paper denim using the ancient Chinese technique of crafting paper, each pair is made from 65 per cent cotton, 35 per cent paper and organic indigo dye, retailing at a whopping $669. Last year Alanis Morissette and Woody Harrelson launched the new eco-jean RecoJean. 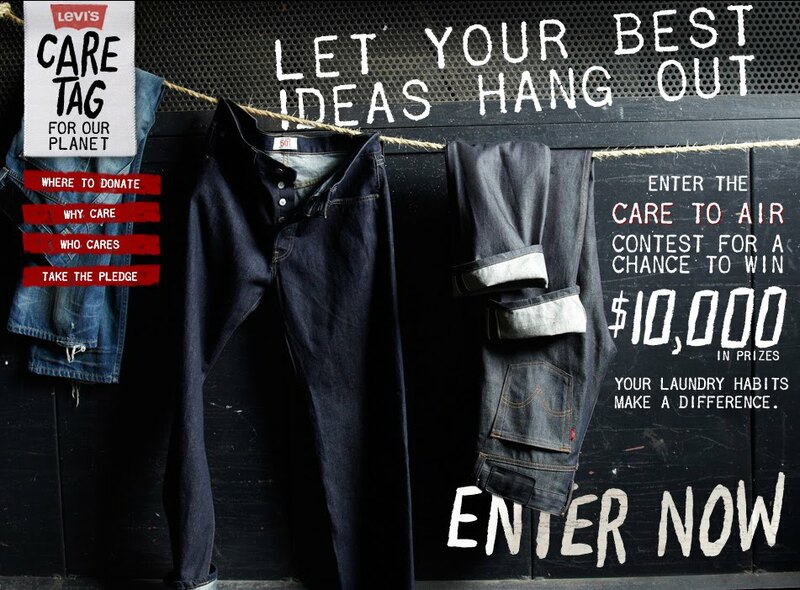 Reco Jeans made from 50% recycled denim fabric. Using materials that would normally end up in landfill, the eco-celebrity duo have created super-soft denim jeans made from the highest percentage of recycled denim fibers in the jean industry. It's all very well buying new eco jeans, with those made from recycled fabrics, but I still say buy second hand, or re-work old jeans from your wardrobe. 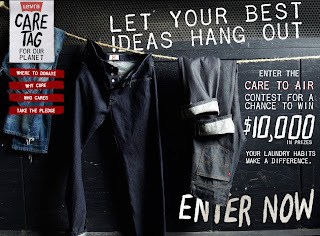 Myoo have parterned with Levis to create the Care To Air Challenge , the world’s most innovative, covetable, and sustainable air-drying solution for clothing, with $10,000 in prize money from Levi Strauss & Co. the challenge sponsor - to be distributed among the finalists. Myoo Create is a community for environmental and social innovation – where people who share a passion for inspiring and co-creating a better world can come together and apply their talents to challenges that matter. Your favourite pair of jeans consumes energy throughout its life cycle, giving this fashion staple a carbon footprint. Nearly 80% of that is due to the energy intensive method we choose for drying. The Air Closet - A ventilated closet that attaches to the condenser fan of a central A/C unit.